Platinum: "industry deeply saddens us"
Outlines new vision, Platinum Next. 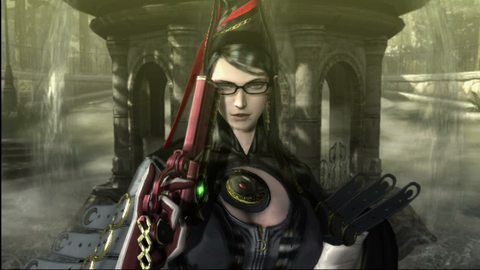 Bayonetta, MadWorld and Vanquish developer PlatinumGames has outlined its new vision and lamented the decline of originality in video games. In an open letter published on its website, president and CEO Tatsuya Minami revealed Platinum Next, the Japanese studio's "new course". "I believe that games exist to offer fresh surprises to those who play them," he writes. "As members of the games business, we have always pursued the creation of the new, and we take pride in doing our part to support our industry. "However, the current games business is struggling. The 'fresh surprises' I mention are becoming few and far between, especially in our home of Japan. Not so long ago, Japan lead the world's games business, and it was not a stretch to call games a uniquely Japanese specialty; however, now it appears that Japanese games companies have lost their vigor. "Series grow ever-longer; original titles are on the decline. Games with new at their core are disappearing. Japanese games that garner worldwide acclaim are slipping away. "This state of affairs deeply saddens us." Minami goes on to say that Platinum must now become "the Japanese Standard Bearer in Global Competition". "We aim to bring happiness to gamers worldwide. We seek to ignite a Japanese games revival. And our troops will have the highest morale. "We're in this fight for the long haul." Many experts believe the game industry currently suffers from a lack of innovation brought on by a focus on sequels. PlatinumGames titles are on the whole critically acclaimed – but struggle to find commercial success. Its next title, Anarchy Reigns, is an online action combat game with a focus on multiplayer. Rovio boss Peter Vesterbacka, the brains behind Angry Birds, drew attention for claiming console games are "dying". The shift towards social and mobile gaming has been stark, with a number of high-profile, big budget developers expanding their businesses. Last month Resistance and Ratchet & Clank developer Insomniac Games opened a web and mobile development division called Insomniac Click. "We believe there will always be a market for what we call 'core' games," Insomniac Games' chief creative officer Brian Hastings said at the time. "But as core games have become increasingly complex the barrier to entry for everyone else has often become higher and higher. As a result, the games with the highest production values are simply impossible to play for the vast majority of people in the world."